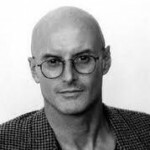 Ken Wilber is the foremost thinker defining Integral Meta-Theory as well as trans-lineage spirituality in our time. His Fore– and Afterword to Your Unique Self establishes the book’s worthiness to be seen as a new spiritual classic. This special issue of the Journal of Integral Theory and Practice (JITP) is devoted to Integral Spirituality. 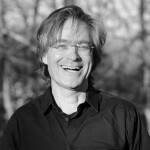 The issue focuses on the conception of the Unique Self as developed by Dr. Marc Gafni. Unique Self represents a truly worldcentric and planetcentric mysticism that provides a powerful way of integrating the enlightenment traditions of the pre-modern East and the modern West. 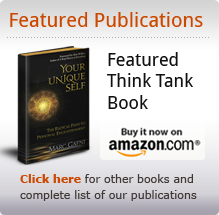 Enjoy these two seminal articles on Unique Self theory, originally published in JITP 6:1. This article outlines the basic teachings of a new chapter in Integral Theory: the post-metaphysical evolutionary emergence of Unique Self. The article begins by contextualizing theUnique Self conversation within a larger discussion on individuality and traces the emergence of theUnique Self teachings through the life and writings of the author. The core Western understandingof individuality and its affirmation of the dignity of the separate self is contrasted with the Easternteaching of dissolution of the small self, before both are integrated into a higher integral embrace through a new understanding of Unique Self. This article elucidates how the teachings of Unique Self fundamentally change the classical enlightenment paradigm through the assertion that enlightenment has a unique perspective, which might be termed the “personal face of essence.” Perspective taking, which emerges from enlightened consciousness, is rooted in the ontological pluralismthat lies at the core of the Hebrew textual tradition. The new enlightenment teaching of Unique Self therefore rests on a series of integral discernments between separateness and uniqueness, ego and Unique Self, and personal and impersonal man. 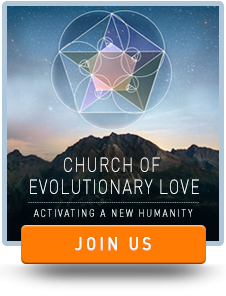 The Unique Self teaching suggests a new understanding of enlightenment through intersubjective love; the Unique Self perception is then set within an evolutionary context of being and becoming, in which it is seen to express one’s response to the personal address of the evolutionary God impulse itself. In this sense, Unique Self is understood to be an essential chapter in the emergence of a truly evolutionary mysticism.